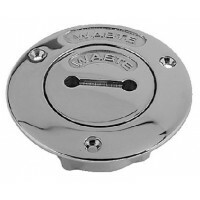 Chrome plated zinc alloy, plastic base. 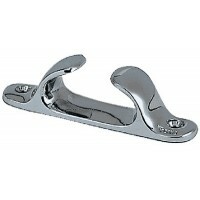 Pack: 1Fastener: 1/4"Line Size: Up To 1/2"Length: 6"..
Chrome plated zinc, plastic base. 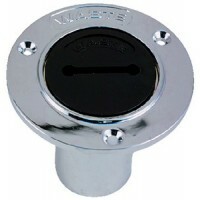 Stainless steel studs, nuts and washers. 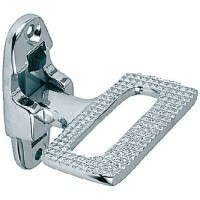 Stud: 1/4" x 1-1/2"Line S..
Chrome plated zinc alloy. 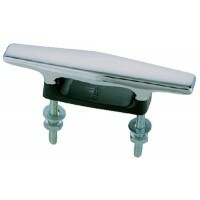 Pack: 2Base: 3-1/8" x 1-1/2"Fastener: 8"Line Size: Up To 3/8"Length: 3"..
Chrome plated zinc alloy. 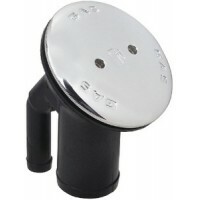 Pack: 2Base: 4-7/16" x 1-7/8"Fastener: 10"Line Size: Up To 1/2"Length: 4-1..
Chrome plated zinc alloy. 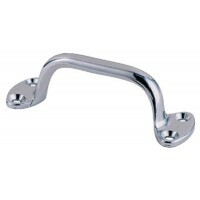 Pack: 2Fastener: #10Line Size: Up To 5/16"Length: 4"..
Chrome plated zinc alloy. 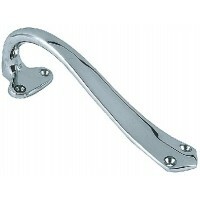 Pack: 1Fastener: #10Line Size: Up To 7/16"Length: 6"..
Chrome plated zinc alloy. 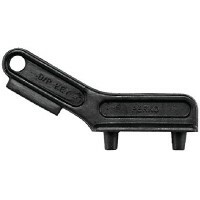 Pack: 1Fastener: 1/4"Line Size: Up To 5/8"Length: 8".. 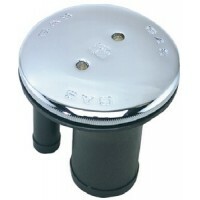 Plain aluminum. 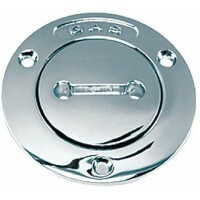 Pack: 2Base: 1-1/2" x 5/8"Fastener: #8Line Size: Up To 1/4"Length: 3".. 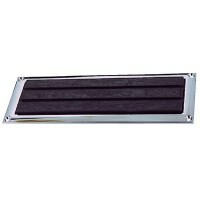 Plain aluminum. 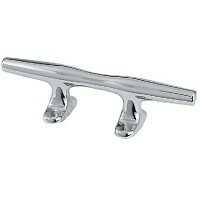 Pack: 2Base: 1-5/8" x 3/4"Fastener: #10Line Size: Up To 5/16"Length: 4"..
Chrome plated bronze. 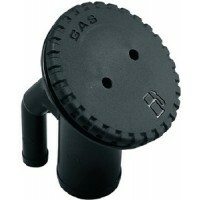 Base: 1-5/8" x 3/4"Fastener: #10Line Size: Up To 5/16"Length: 4"..
Angled neck. 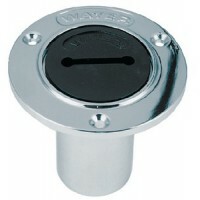 Chrome plated bronze cap. Black plastic body. Stainless steel beaded chain. Integral ta..
Angled neck. 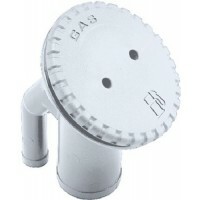 Integral tank vent with flame arrestor and anti-surge valve. 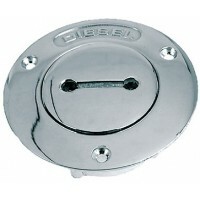 Deck plate key included. 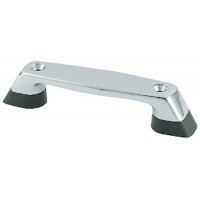 P..
Chrome plated bronze. 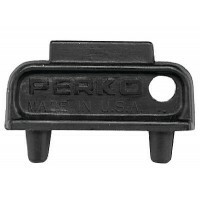 Deck plate key (#1248-8DP), o-ring and retainer included. 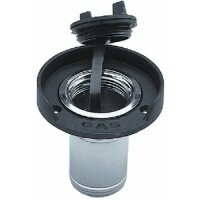 Caps have slot betwe..
Chrome plated zinc body, black slotted plastic cap. 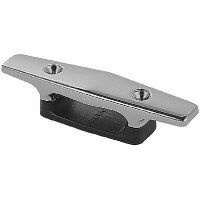 Deck plate key (#1248-8DP), o-ring and integral ..
Chrome plated zinc alloy. 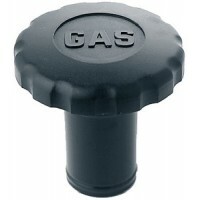 Black plastic cap, slotted between the holes. 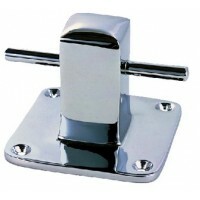 Complete with deck plate key..
Chrome plated bronze. 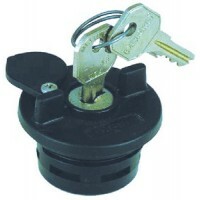 Deck plate key (#1248-8DP) and o-ring included. 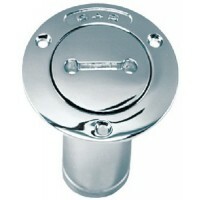 Flange: 3-5/8"Fastener: #8Fits..
Chrome plated bronze. 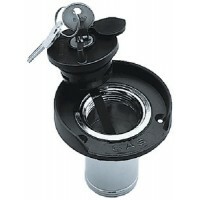 Deck plate key (#1247DP0BLK), o-ring and cap retainer included. Ground wire re.. 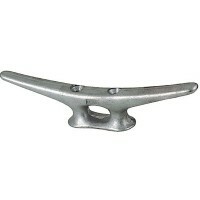 Cast bronze, chrome finish. 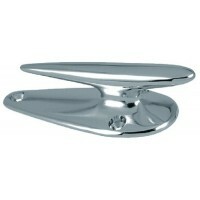 Stainless steel spring holds step in open or closed position. Fastener: .. 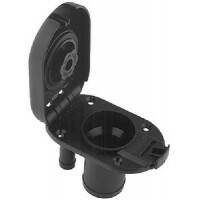 Fiber reinforced, UV stabilized Black plastic. 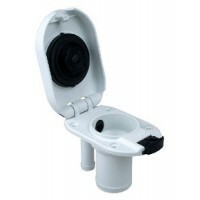 No deck plate key or ground wire required. 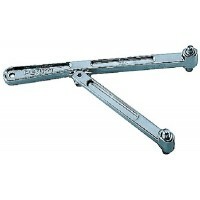 Easy grip ..